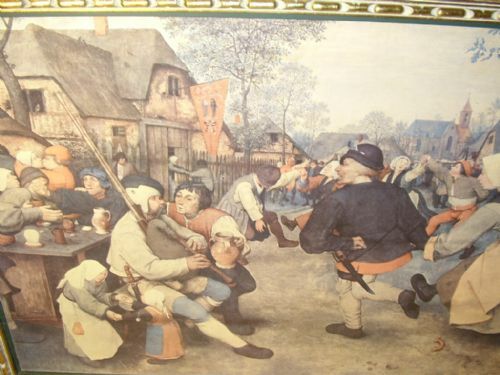 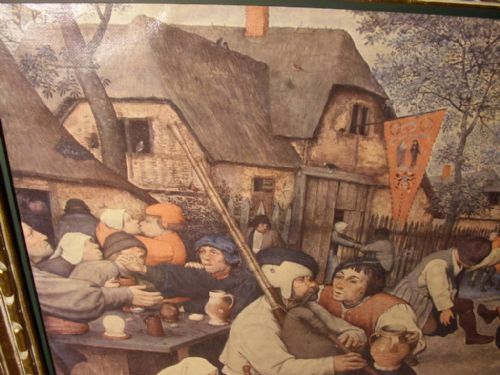 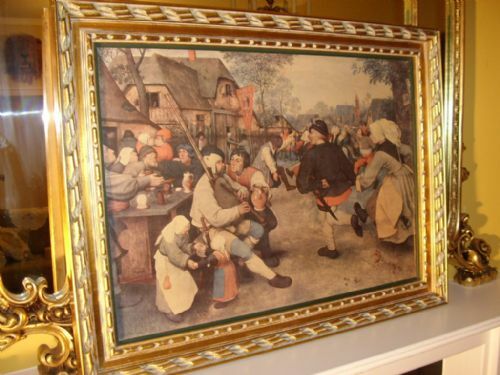 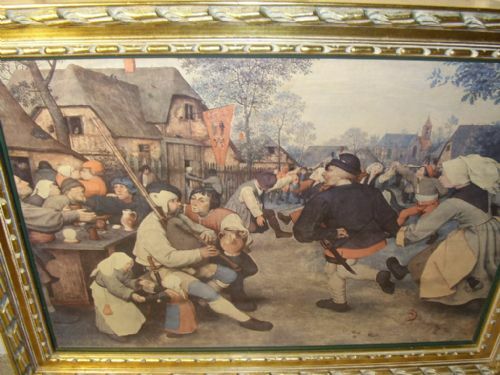 An Oileograph on canvas depicting a Dutch 17th century genre scene based on merry charactors drinking and dancing in the streets outside the village tavern. 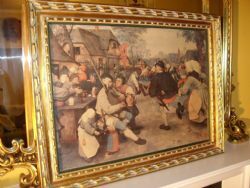 The picture is finished with a light textured varnish in order to appear like an original oil painting. 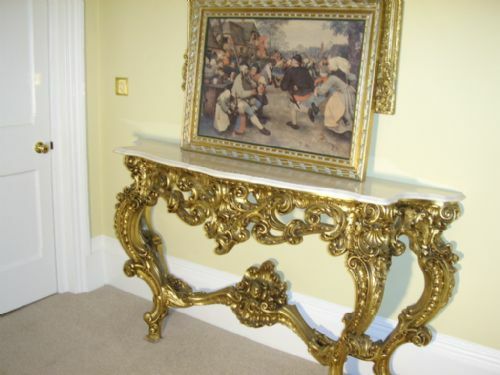 A good decorative work full of charm and charactor. 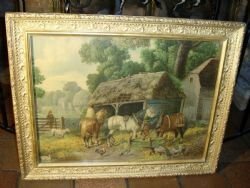 CONDITION : Excellent Order Throughout. 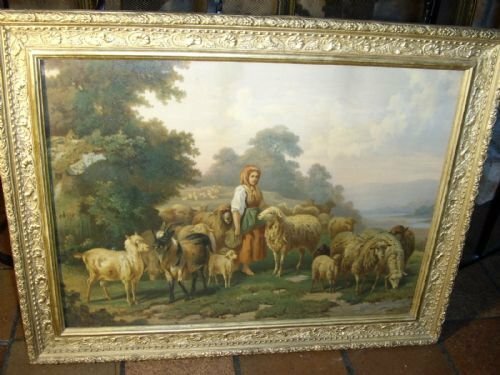 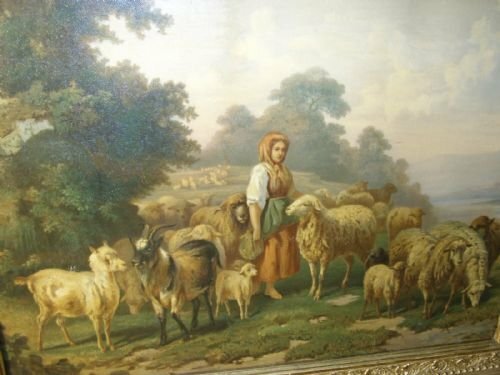 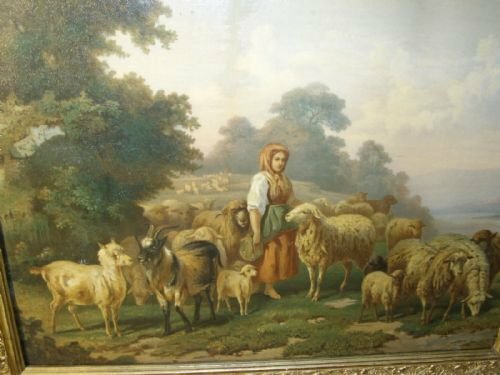 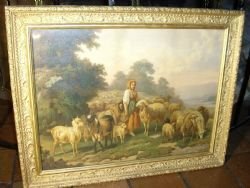 A beautiful Victorian period scene,depicting a lady herder surrounded by sheep and lambs,feeding them from a bag hung around her waistline. 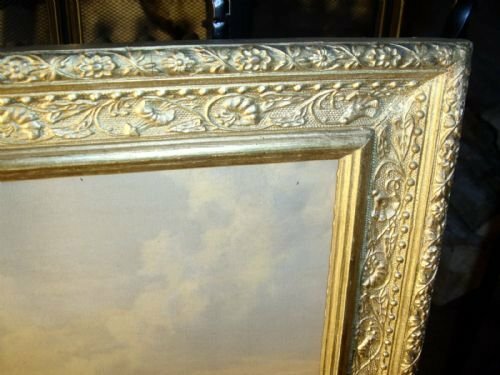 Produced in the style of an original oil painting,by forming a textured finish with patina over a quality print on board,this technique and picture being known as an oileograph,presented under glass. 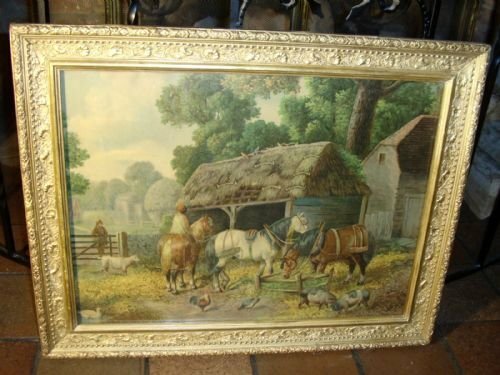 The oileograph is in good condition for its age,with no fading seen and still retaining a strong colour. 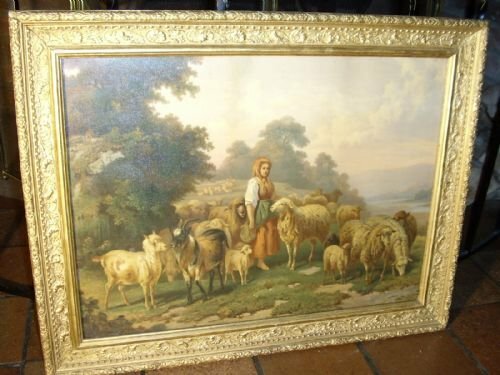 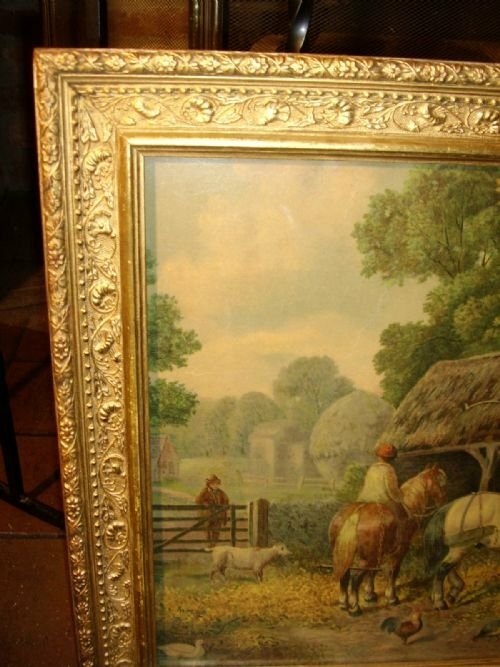 The original decorative wooden paster and gilt frame being all in good condition. 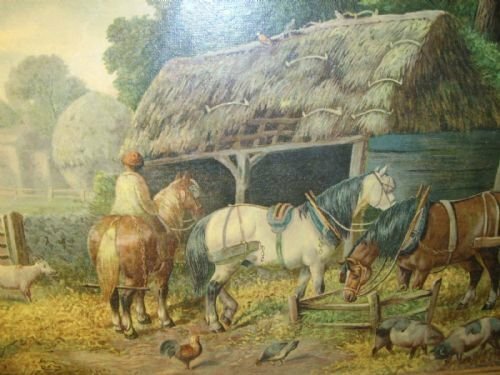 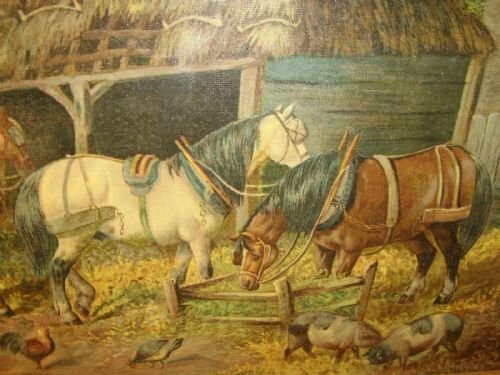 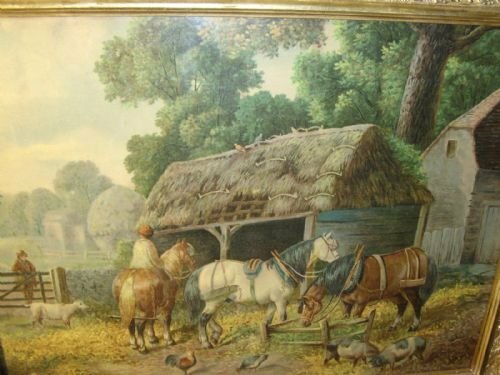 A beautiful Victorian farmyard scene showing three horses,one drinking from a trough,and showing pigs in the foreground and chickens pecking seed from off the ground.